This comment on our post on chicken feed is too interesting to miss. Eddy and Gosia live in Poland. 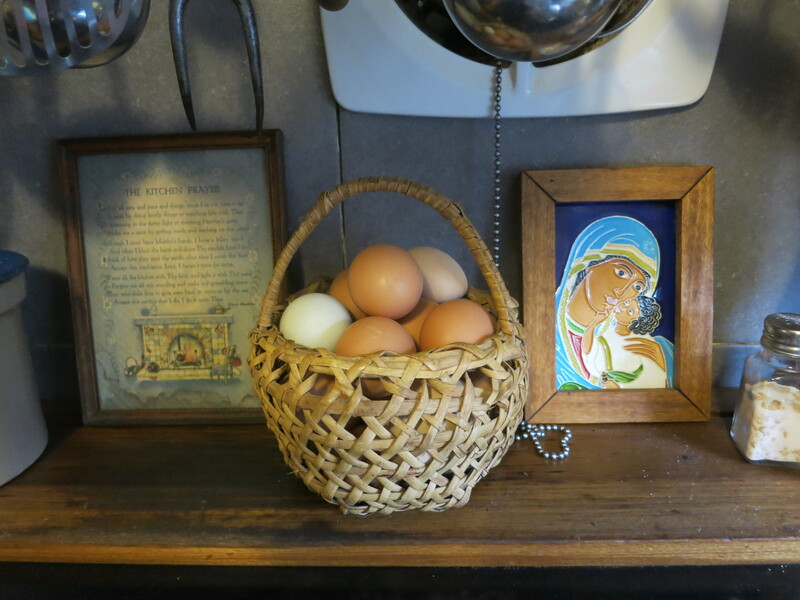 Gosia’s family still feed the chickens on boiled potatoes. They collect all the too small and damaged potatoes at harvest and that’s the feed for the year. Add a bit of wheat that they grow collectively with the extended family of aunts and uncles and the bulk of the diet is taken care of. The flour mills in the area also give you the husk of anything that you happen to mill and the scraps from the table and garden are ready fodder and fill any gaps in the diet and of course all chickens are free range here, which I’m reminded of every morning as I take the kids to school and pass house after house with chickens scratching around at the side of the road. Cost to feed, zero, just a little time. And they look after a flock of about twenty, which provides eggs for three families, including ours. Thank you, Eddy and Gosia! Thanks for the question, Nick! Wow, we haven’t looked back at this for a good while, and now it’s six years old. 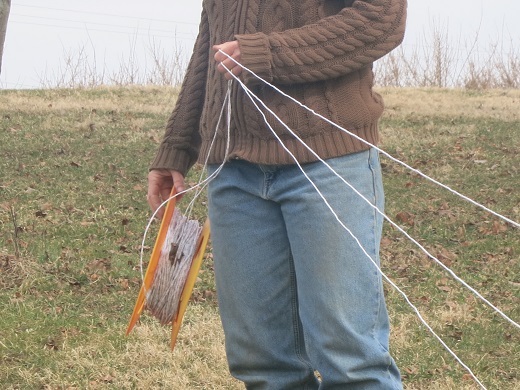 Time to put out a new post on calf-rearing. I’m not sure whether you want information on feeding, or on weaning (from milk altogether), so I’ll put down both. We haven’t fed grain to any ruminant in several years. 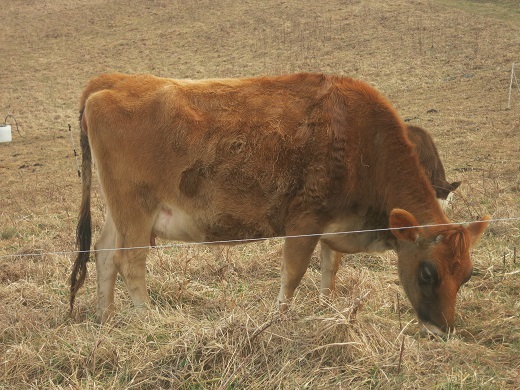 Even our lactating dairy cows are all grass, all the time — they winter on stockpiled forage. Our bottle calf protocol (which goes for weaned-rom-mama-but-not-from-milk calves, too, bc. mostly they come off their mamas before we’re ready for them to be weaned from milk, so they go from mama to the bucket) is as follows: newborns stay on mama for eight to twelve weeks, then they go to the bucket, about six quarts per day. Newborns that are bought in get a couple of feedings of saved colostrum, then go to two two-quart feedings of straight cow’s milk per day, but we add an egg, beaten in, into each feeding, as a preventive of scours. After a couple of weeks they are up to six quarts per day. All calves stay on milk for at least fourteen weeks; if there’s a lot of skim milk or whey around, they might get that for a bit longer. They always have access to water and good forage or hay. We take them down to a single feeding per day for about a week before we wean them altogether. When they come off milk, they are on grass alone. If it’s July when they come off the bucket and the grass is mostly tought and lignous, they are going to be set way back, so don’t do it if you can help it; wean in April or May, if you can, or else when the fall grass starts to come in again. 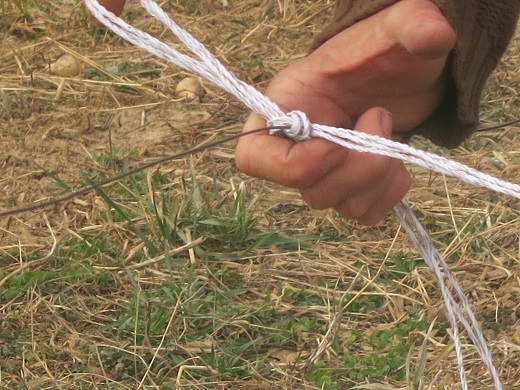 If they are running with older animals in a rotational/management intensive situation, wonderful, but because competition is intensified in the smaller paddocks, it makes a big difference — on our farm, anyway — that we fence with a single strand of polytwine and just two or three joules on the charger. This means the little guys can slip out under the fence and graze in front of the rest of the group. 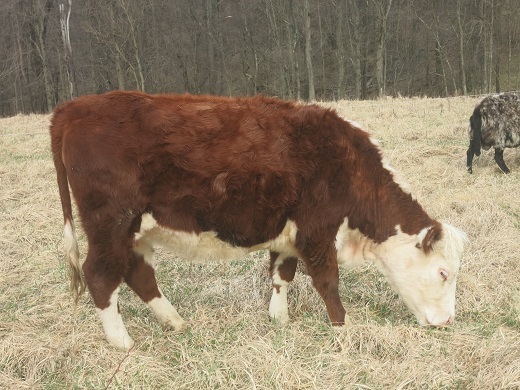 They get the best forage available, but because they are only a little way in front of the herd, they aren’t doing any harm to the grazing sequence, since the mature animals will graze that spot the next day. Understand, these are baby dairy bulls that are being raised for a life of grass. You do understand that by weaning from milk at three months we take away the natural advantage of mama’s later weaning (and bigger servings) without compensating for the calories with grain (a food that disrupts the proper development of their rumens). They are going to grow much more slowly than a Hereford calf on grain, silage, haylage, baleage, and whatever else, and somewhat more slowly than a calf that stays on mama for six months. It’s a trade-off, but it works for what we want, which is Jersey beef (delicious) that is all grass with no bought-in supplements. Spring really is coming to eastern Ohio. We’ve pulled our taps and put away the sap pans — grass and spring rains can’t be too far away! 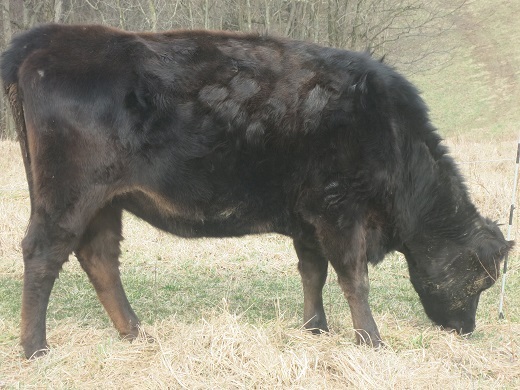 Come to our April workshop to get hands-on experience with intensive rotational grazing at one of the most challenging times of the year – spring greenup. 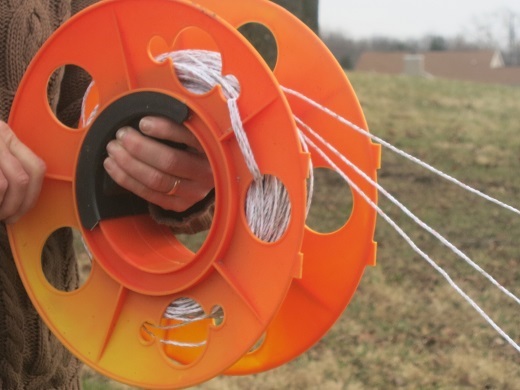 We’ll be moving fence, setting up practice paddocks, and planning the grazing year. 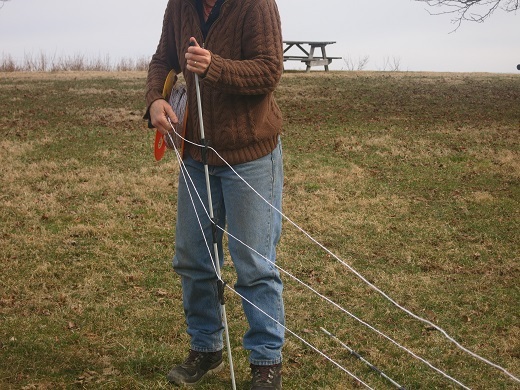 Or catch one of our half-day grazing workshops at the Mother Earth News Fairs in Asheville, NC, or Frederick, MD.